Cathedral of St. Matthew: The Spherical View | Irene Abdou Photography, LLC - Travel. Lifestyle. Documentary. NGOs, Development & Public Health. 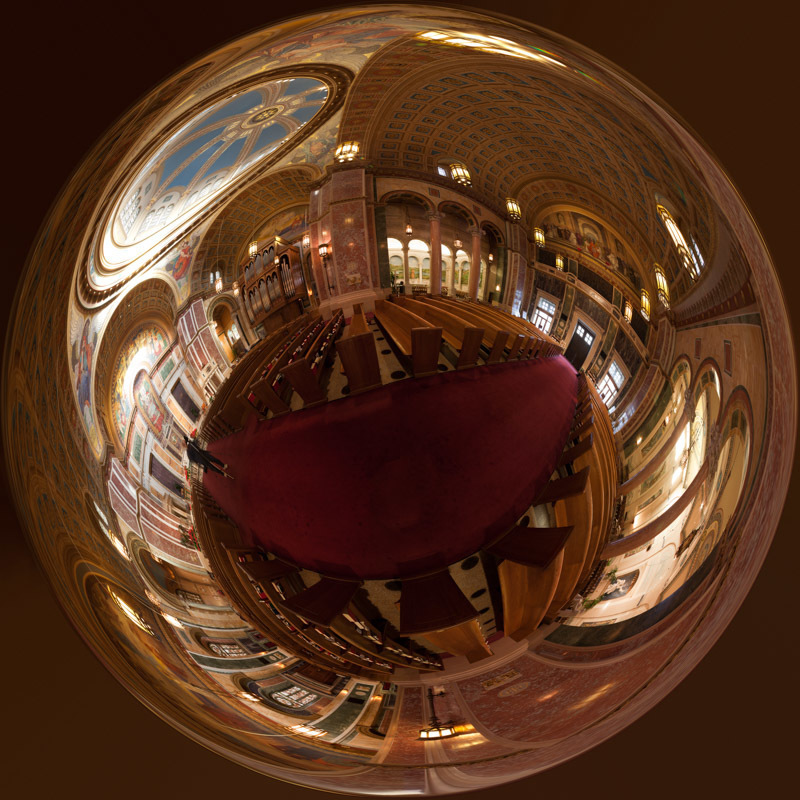 360 degree stereographic panorama ("little planet") made from 59 individual images of the Cathedral of St. Matthew in Washington, DC. Named after Saint Matthew the Apostle, the patron saint of civil servants, the Cathedral of St. Matthew the Apostle in Washington, DC is the seat of the Archbishop of Washington. Built in 1893 and designed by the notable New York architect, C. Grant La Farge, the cathedral boasts an exquisitely beautiful interior.